（2009年12月2.34亿个网站）234 million �C The number of websites as of December 2009. （比2008年净增加4700万个）47 million �C Added websites in 2009. （.com域名2009年未数9180万个）81.8 million �C .COM domain names at the end of 2009. （.net域名2009年未数1230万个）12.3 million �C .NET domain names at the end of 2009. （.org域名2009年未数780万个）7.8 million �C .ORG domain names at the end of 2009. （ccTLD域名2009年未数7630万个,例如.CN, .UK, .DE,等）76.3 million �C The number of country code top-level domains (e.g. .CN, .UK, .DE, etc.). （2009年10月域名总数1.87亿个）187 million �C The number of domain names across all top-level domains (October 2009). （2009年比2008年的域名年增长率为8％） 8% �C The increase in domain names since the year before. （2011年12月5.55亿个）555 million �C The number of websites(December 2011). 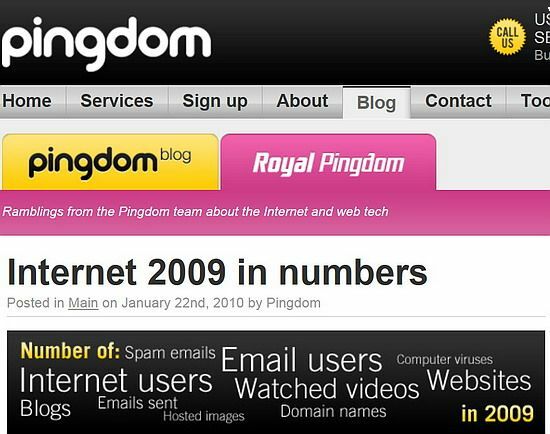 （比2010年净增加300万个）300 million �C Added websites in 2011. 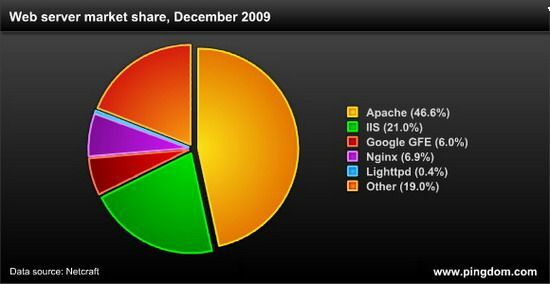 •239.1% �C Growth in the number of Apache websites in 2011. •68.7% �C Growth in the number of IIS websites in 2011. 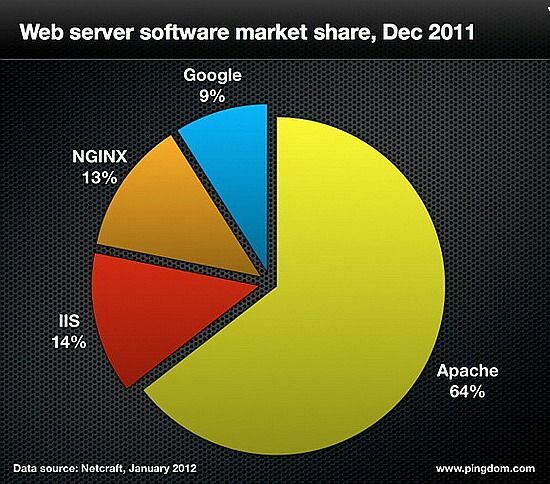 •34.4% �C Growth in the number of NGINX websites in 2011. •80.9% �C Growth in the number of Google websites in 2011. （.net域名2011年未数1380万个）13.8 million �C Number of .net domain names at the end of 2011. （.org域名2011年未数930万个）9.3 million �C Number of .org domains names at the end of 2011. 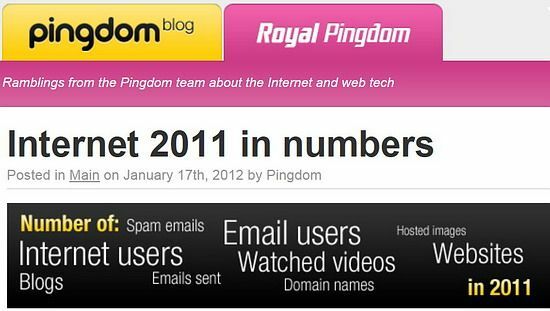 （.info域名2011年未数760万个）7.6 million �C Number of .info domain names at the end of 2011. （.biz域名2011年未数210万个）2.1 million �C Number of .biz domain names at the end of 2011. （2011年第3季度己注册域名2.2亿个）220 million �C Number of registered domain names (Q3, 2011). （2011年第3季度ccTLD域名8690万个，例如.cn,.uk,.de等）86.9 million �C Number of country code top-level domains (.CN, .UK, .DE, etc.) (Q3, 2011). （已有324个顶级域）324 �C Number of top-level domains. （排第一位的域名服务BIND占28％市场份额）28% �C Market share for BIND, the number one DNS server type.